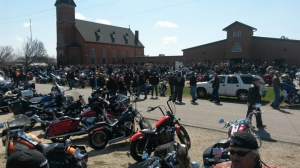 “Motorcycle Club” is not a typical Christian ministry. Seven years ago, Ted Rondeau launched Free Christian Motorcycle Club (Galatians 5:1) or FC Brothers MC (FCMC). 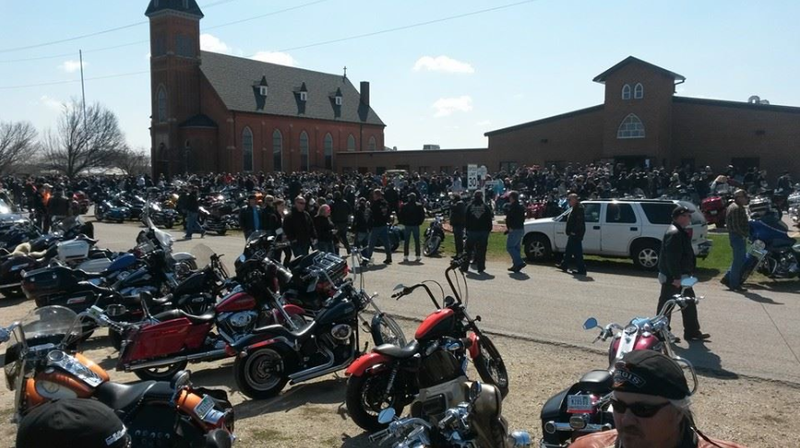 The vision was and is to live out biblical community in front of other bikers for the sake of redeeming them to Christ. The club is like others across the country: riding many miles, attending parties, putting together fundraising events, and wearing ‘patched’ leather vests. FCMC also puts their new recruits through an initiation “prospecting” process to help get the men up to speed on the culture. 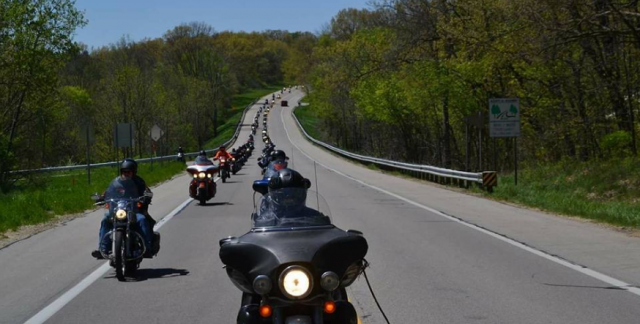 Historically, motorcycle clubs formed after World War II out of men’s need for brotherhood. Rondeau himself grew up in the ‘biker life’ and understood how blending in with the other groups would be crucial to ministry success. However, the group is different in one important way; the focus is on bringing Jesus to the other riders. FCMC desires to help other bikers that need to “change lanes” in their lives, as Rondeau puts it. First, Rondeau built a strong leadership base, trained and informed the riders of what they were getting into. Rondeau compares it to prepping for foreign missions: learning the language and culture to increase credibility and effectiveness. Then he established the FCMC by reaching out to other clubs in the area. Rondeau said this was important because the ‘outlaw biker community’ can be territorial. Gaining their approval would be necessary to have credibility for a viable presence in the biker community. He was upfront that the new club was a Christian one, there “to live among them like Jesus lived.” The local dominant clubs accepted that and welcomed FCMC. This ministry is based on Rondeau’s concept of ‘field focus teams.’ His idea is to have average people use their God-given passions, for a hobby or other recreational pursuit, to bring people closer to God and the church. By Christians creating intentional groups in the community, they can reach people who may never hear the gospel or have had negative relationships with Christians and churches. “Jesus was clear in Matthew 28 that it applies to everyone, that we should all be making disciples,” Rondeau said of being a Christ follower. Rondeau says that FCMC has successfully reached men and women for Christ and is now an established fixture in Northern Indiana. Ted Rondeau is currently in the doctoral program at Grace Seminary in Winona Lake, Ind., to complete his research on the concept of field focus teams. He encourages Christians to start their own ministry groups by using their hobbies and recreational pursuits to be on mission. Learn more about this ministry at their Facebook page. Send a note of encouragement to Ted Rondeau at fcmcprez@gmail.com. Story by Hannah Hubbard, a Grace College intern at GraceConnect. Hannah is a native of Trufant, Mich., and is majoring in journalism.